As a person I believe one of my best traits is being punctual. Blame it on my Maybe it's Army school and the crazy punishments you get when late (lifting your school bag over your head and running 5 rounds of the ground types - for girls. It was like 10 for boys. (we have much bigger grounds than most civil schools btw)) But I cant remember any event, work, school/ college I've ever been physically late for. But lately I don't know why I've been reaching late to all the fun things. This tag I was supposed to do ages ago. I was tagged by Suma of ISLM, Bharti of CPL & Dolly of Indian Shringar. Who can choose among their babies? And since I don't have babies of my own, I don't have an answer to that. But it's not that difficult with lipsticks I'm guessing because when I thought, 5 colours just called out to me and made me happy. Click links below for reviews/ swatches. 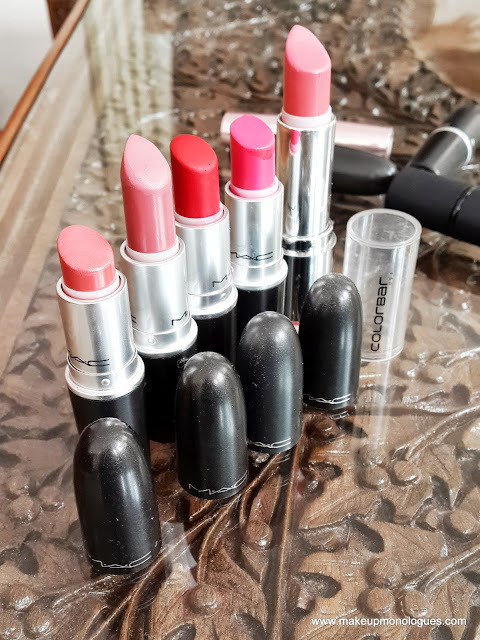 MAC Crosswires, MAC Mehr, MAC Ruby Woo, MAC Impassioned, Colorbar Thrilling Pink. 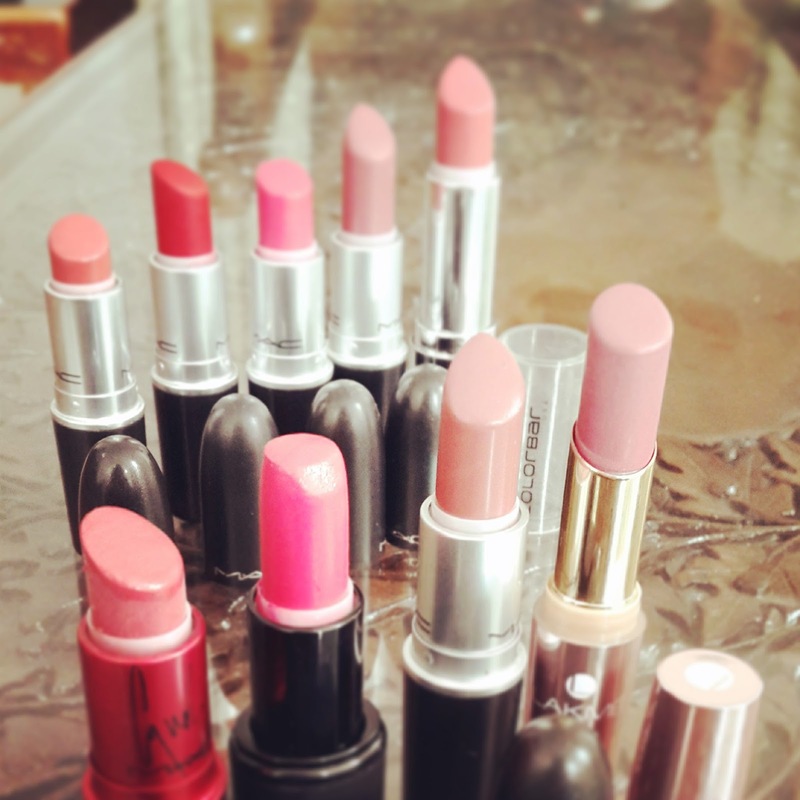 The ones in the picture above this one (with 4 lipsticks in the foreground) are MAC Viva Glam Cyndi, Sleek Heartbreaker, MAC Cosmo, Lakme Pink Colar. Hehe ya I could eat them up! Amazing mac collection....love all shades..
Beautiful colours: I really really want Ruby Woo! you reaaally must get it I can only imagine how great it'll look on you! Wow! 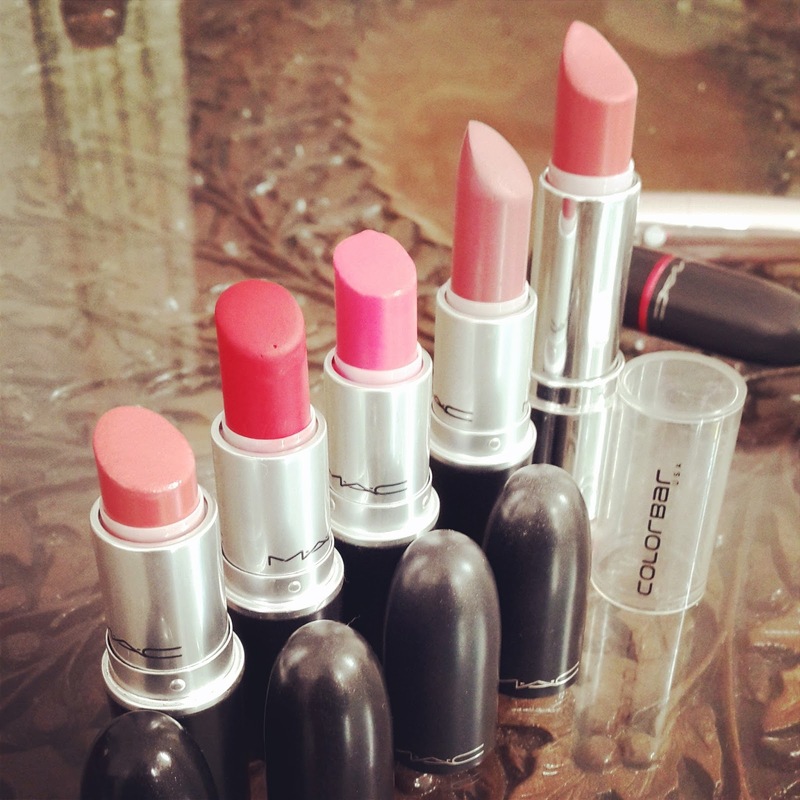 MAC Ruby Woo and MAC Impassioned are my favorite too! You need it in your life! Trust me. I like it more than Russian red! I was already attracted to ruby woo and now that impassioned trying to make a new place in my heart!!! © IKYA KESIRAJU | All rights reserved.